Did you know that you can make an absolutely delicious pineapple upside down cake on a barbecue?! This was just one of the things that the Paving Place team learned on their visit to the Weber Grill Academy On Tour! 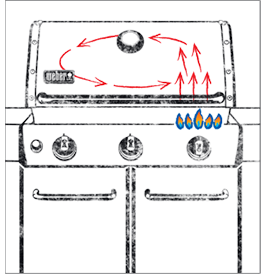 Weber is an American family business, founded in 1952 when George Stephen invented the very first lidded barbecue. Since then, they have become the number one manufacturer of barbecues around the world. 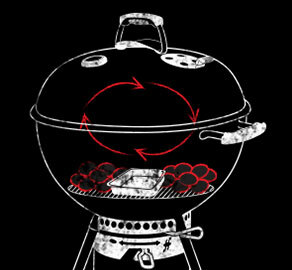 Weber’s philosophy is that their support doesn’t end when you buy the product – it begins. 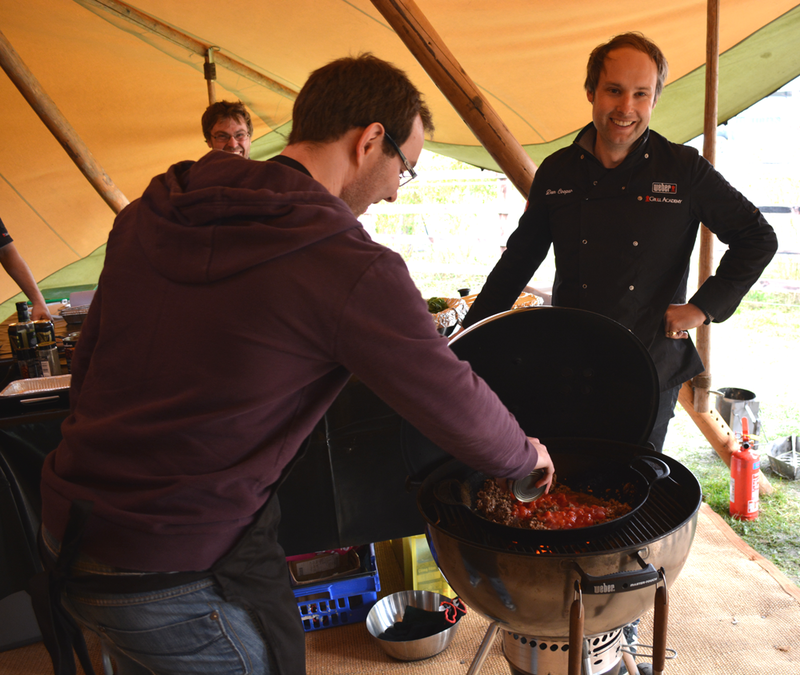 As soon as you register your Weber barbecue you get a monthly magazine with great hints and tips and a website packed with everything you could possibly need to know about barbecuing. 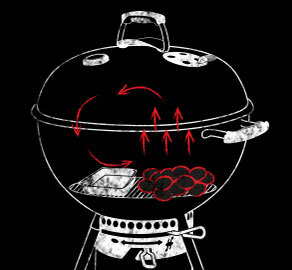 Plus you can even attend training courses on how to use your barbecue just like the one we participated in this Spring. You need to use a combination of two particular cooking methods to get the most out of your Weber barbecue so that you can cook anything from stir fry to burgers. These two methods are simply using direct and indirect heat. The direct heat should be used for the same dishes as you would use a grill for at home and which take around 20 minutes to cook. Indirect heat should be used for roasting and baking, and need to be used for foods which take longer than 20 minutes to cook. You can also use a combination of both indirect and direct heat – this is called the 50/50 method. This is perfect for initially searing meat (like sausages) than moving it to the other side of the grate to cook slowly. This method can also be using to cook food that requires two different types of heat at the same time. And remember, no matter what cooking method you choose, on a gas or charcoal barbecue, you will always achieve the best results by cooking with the lid on. In Weber’s Tipi we used indirect heat on a Weber Q2200 gas barbecue to create a delicious, moist pineapple upside down cake. If you could only choose one accessory for a charcoal barbecue I would have to advise you to get a Weber Chimney Starter. 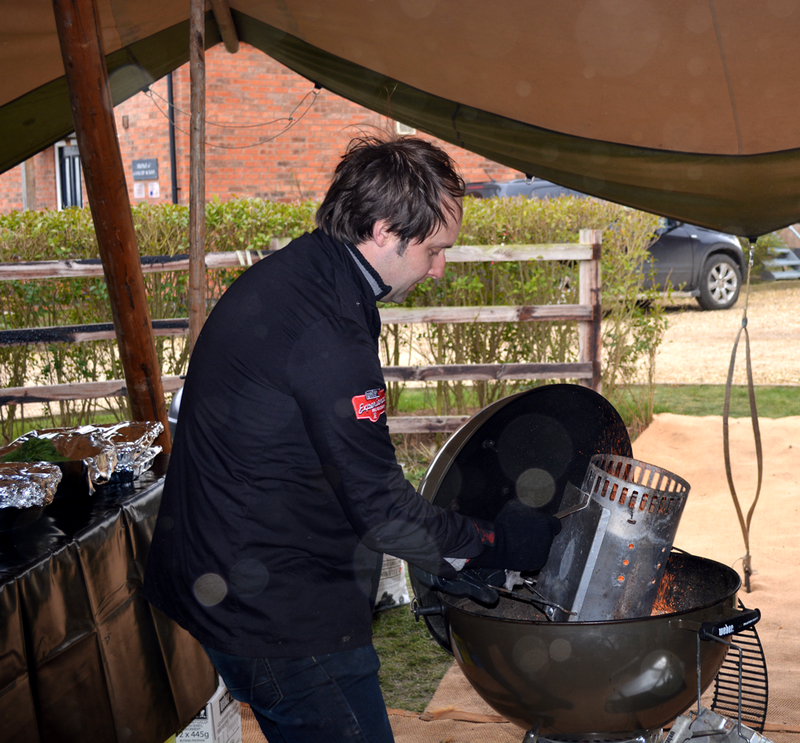 The critical thing about using a kettle barbecue is lighting it – if the briquettes are prepared properly you will have perfect conditions for cooking. Many people use too many briquettes when barbecuing. This is not only unnecessary, but also a disadvantage. If you use the right number of briquettes it is easier to control the heat, you avoid burning the food and it is far more economical. A full chimney starter will reach temperatures of 260-270°C, three quarters will produce a heat of 220-230°C, and half full 180-190°C. A chimney starter allows you not only to select the right number of briquettes, but it also allows to light them in the safest and quickest way possible! As a general rule, fill the chimney starter two thirds full for roasting (indirect heat) and up to the top for grilling (direct heat). 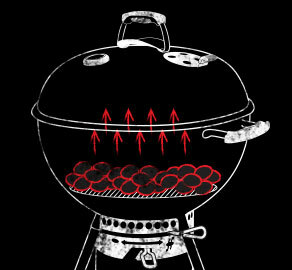 Place 2-3 lighter cubes on the middle of the grate inside the barbecue. Light these and put the chimney starter on top. Allow the briquettes to burn until they are ash grey. This should only take around 20 minutes as the shape of chimney starter inside means that it distributes the heat quickly and efficiently between all the briquettes. Then all you need to do is put on barbecue mitt and carefully pour the briquettes onto the charcoal grate. 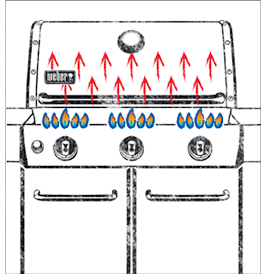 Weber’s Gourmet Barbecue System (GBS) is an ingenious barbecue system, combining a unique cooking grate with a variety of accessories to expand your cooking options and provide a wide range of menu choices. From a Sunday roast to a crisp stone baked pizza, delicate scallops and delicious desserts; with the wonderfully versatile GBS you can make them all. The basic principle of GBS rests on the multi-functional cooking grate.In addition to functioning as a conventional grate, it has a removable centre section to accommodate a GBS accessory. In the photo above you can see Tom adding some ingredients to a chilli con carne cooked using the GBS Cast Iron Wok accessory (it was delicious!). Other accessories include the GBS Pizza Stone, GBS Cast Iron Sear Grate (perfect for juicy steaks), GBS Cast Iron Griddle, GBS Poultry Roaster, GBS Dutch Oven and even a GBS Waffle Iron! The GBS system comes as standard with the Mastertouch, Genesis, Performer and the Summit range. We all had a fantastic time at the training and we all left asking each other what we needed a kitchen for as we can cook everything on a Weber barbecue! The entire Weber barbecue range is available on our website including a wealth of accessories and fuels. If you need any advice at all you can call our fully trained sales team on 01543 222 100 or email customerservice@pavingplace.co.uk. Phone lines are open weekdays 8.30am – 5.00pm and on a Saturday 9.00am – 12.30pm. 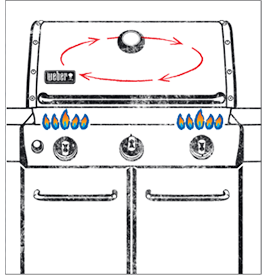 What’s The Difference Between the Weber Compact, Original & Master-Touch? Welcome to the Paving Place blog! Paving Place is the specialised paving division of Walter Tipper Limited, a family business that has provided the Midlands with building and landscaping supplies for nearly a hundred years.